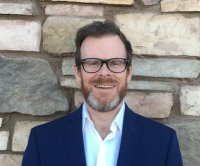 In this video, John Wilson reveals how to write an attention-grabbing tenant ad on Gumtree and how to stop your ad standing out for all the *wrong* reasons! Discover how to let your property faster in our free eBook. Ask your property investment question here. Hi, it's John Wilson here and today I've been contacted by a Property Investment Blueprint subscriber who is trying to let out a house as a multilet property in Birmingham and he's having a bit of trouble finding tenants for it. So what I'm going to do is just run through the Gumtree advert that he's using. 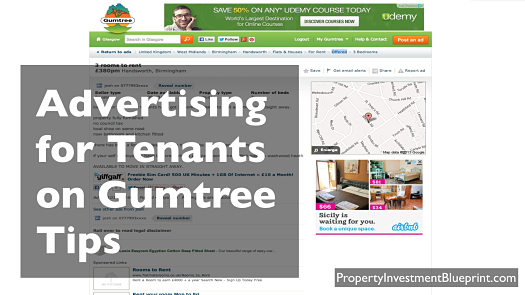 Now I normally have really great results with Gumtree, I think it's a really great way to do low-cost advertising for tenants. I sometimes use it if my agent is having a bit of trouble using the marketing methods that they use, because they don't use Gumtree. So I would just stick on a Gumtree advert and I always get really good results with it so for that reason I was quite surprised to hear that this chap was having trouble with it. So I'm looking at his Gumtree advert on the screen here. Now let's start at the top. Now the title is one of the ways that you're going to get your prospects to click through and look at the actual advert now you'll see here that the title is "3 rooms to rent". Now while that may be very factual, it is not attention-grabbing. You need an attention-grabbing headline and you can use language to do that, so for example use descriptive words to get peoples' attention so "excellent room in shared flat'; use adjectives: "palatial room in awesome flat to rent" and you can put benefits in the headline as well and in this case I know that it's being rented with all bill included in the price so put that in your headline. That's unusual, you know, most flats will be bills-extra, so put bills included in your headline. Also you can grab attention by using formatting of your headline. So here's how the listing appears in the search results, so as in this case here, you can use capital letters and asterisks. I think that if you put too much punctuation/special characters in the headline it will sometimes edit them out, so use those sparingly but it's worked in this case. This one here, he's used all caps; that works quite well too. So, use a mixture of that and language and benefits and that will encourage people to notice your ad and click through. Now the other thing that we notice here is is that there's no picture. Now, this does make the listing stand out because there is no picture, however it's standing out for the wrong reason because people want to see pictures. If I were to look at this and there's no picture... renting a flat is a very visual thing, you want to see what the flat looks like. If there's no pictures, I probably wouldn't even bother clicking on it, so extremely important to have pictures on there. And make sure they're good pictures too you know if the lighting's bad or if they're grainy and not very good quality then that's going to put people off as well. If there's a room in the house that's particularly bright or colourful then put that in there. They're all exterior pictures here, it's all about doing something different to the other people in the same listing so if you've got an interior room that's particularly bright then put that picture in there and that way you'll stand out from the rest; it's all about standing out from the crowd. So let's go back to the advert itself and move on here. So the next thing I notice is that we're in the "three bedrooms" section; you'll notice up in the top right. The first thing that occurs to me is that if someone is in that section browsing then they're probably going to be looking for a whole three bedroom house to rent as a whole and not a room. So what I would recommend is put the ad also in either the one bedroom flats section or maybe more appropriately the studios and bedsits section because as you've said here you're looking for three different tenants so if you're a single person looking for somewhere to rent, you're not going to be in the three bedroom house section. So what else have we got here... starting off on your description here. I think you're approaching this from the wrong point of view. You're saying what you are looking for: "looking for three different tenants, three rooms available". You need to approach this from the tenant's point of view; when a tenant is reading this, they want to know what's in it for them and again just like with your headline, you want to be using emotive, descriptive, strong adjectives to describe it because again, you want to stand out from the crowd and you really want to *sell* this property, make it sound awesome, you know? If it's drab and boring you're not going to get people interested in it. So, what else can we say? You did tell me that the price you were offering the property for was £300 per room per month... I noticed that you have £380 pcm here, I don't know if that was a mistake or if you've lowered the rent but that's something else, if your rent is incorrect or if your rent is too high then you're not going to get any enquiries, never mind any viewings. So, back to the description; after you've written your passionate, enthusiastic description, really selling the property. You also need to mention transport. And parking: is there parking, what type of parking is it, is it on street, is it off-street, is it easy parking, if it is then say so because that's a selling point. What's the public transport situation like, is there a bus route nearby, how far away is the bus stop, is there perhaps an underground or a railway station, is there a motorway, how ling would it take to commute into the centre of Birmingham? Things like that. You know, if someone has to look all that stuff up, it's going to put them off. If there's another advert that tells them exactly what the public transport situation is, they'll choose that one over yours. It's all about convenience for people and if you give them what they need in the advert then that will help them make their decision. And finally, at the end of the advert have a clear call to action, now you've got "available to move in straight away". That's definitely a benefit so have that there but just say... now that you've read the description, you need to call my number so: "call me now to arrange a viewing". Just like any advert, you need to tell people what to do next: "call me to arrange a viewing". One thing to note though is that you'll see that at the top here your number is listed with the last few digits x-ed out and you've got this reveal number option. The reason for that is to stop bots scraping your number off the website and putting you into a database to receive marketing calls or texts. Just to recap, make sure that all your benefits are very clearly stated. Obviously your main benefit is that all bills are included. I believe that you're letting this yourself so another benefit that is really big for tenants is that there are no agent fees involved. I mean, if there is like a referencing fee then tell them if there's a referencing fee but your fees - if any - are certainly going to be a lot less than an agent so bring that to their attention. You've mentioned no council tax, fully furnished, amenities and so on, that's great, if there are any other amenities then do mention them. There may be other things that you can do, perhaps people can post below if there's anything else you've noticed. But if you make those changes then you're definitely going to get a lot more interest to your Gumtree ad.